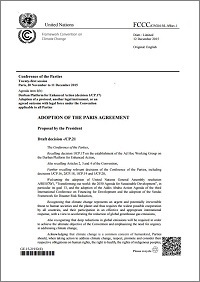 On 12 December 2015, during the 21st Conference of Parties (COP21) held in Paris, 196 parties adopted the “Paris Agreement”. Legally-binding – The adopted document contains a ‘Decision’ (not legally-binding) and an ‘Agreement’ (legally-binding). Warming target – The goal is to hold the increase in global average temperature “well below 2°C” and to pursue efforts to limit the temperature increase to 1.5°C. Greenhouse gases (GHG) emissions – Countries agreed to “reach global peaking of GHG emissions as soon as possible” and reach net-zero emissions of GHG in the second half of this century.  Contributions – Each country shall communicate its planned contributions by 2020 and update these every five years thereafter (only towards more ambitious contributions). Accounting and monitoring – Countries agreed to use a common GHG emissions accounting system and to undertake a first global “stock-take” in 2023 and every five years thereafter, to assess the collective progress towards the goals of the agreement. Financing – Financial support from developed countries should reach USD100 billion annually by 2020 and continue through to 2025. A new target should be agreed before 2025 with a “floor of USD100 billion per year”. This is in the not legally-binding part of the document. Loss & damage – For the first time in an international agreement, “Parties recognize the importance of averting, minimizing and addressing loss and damage associated with the adverse effects of climate change” but “it does not involve or provide a basis for any liability or compensation”. Ratification – This Agreement will enter into force on the condition that at least 55 countries accounting for at least 55% of the total GHG emissions ratify it. The Paris agreement will be open for signature on 22 April 2016. The 32-page document of the decision and the agreement can be found here. For more on the outcomes and implications of COP21, see our January 2016 newsletter dedicated to just this.